At the Social Networking World Forum in London today, Anthony Lukom, Managing Director, MySpace UK, spoke about the future of social networking. He predicted that MySpace would flourish in the mobile world and that embracing mobile phone users was essential to growth. "When we announced a BlackBerry app I think we were the most successful app for the handset out there, so it shows that our audience want access MySpace when on the go," said Lukom. "I can really see a change in mobile. We predict that in a few years time 50 per cent of our traffic from mobiles – it's really going to be that big." One of the main reasons he thinks that MySpace on mobiles will be so successful is portability, and more importantly location tracking services. "You can see the audience really want location-based services – you can see if your friend is round the corner so you can go and have a coffee." 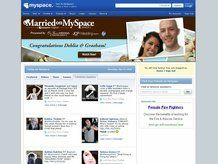 When he was asked about how MySpace is looking to differentiate itself in an increasingly crowded market, Lukom was confident that many social networks can thrive, as consumers use sites for different things. "What is really great about this sector is innovation. It is incredibly fast moving, driven by competition. Everyone has their own secret sauce that differentiates us."